Gone are the days when big, powerful organizations dominate the market in every conceivable aspect. Today, even start-up and mid-tier companies stand their ground against the giants, and though they may not always be successful in matching or surpassing the latter’s profits, they at times gain the upper hand in attracting top talent. That is why employee branding has entered the psyche of most organizations in the past years. In the interest of protecting the viability of their stables, businesses have started to give premium to the fact that what they advertise and project their company to be should be experienced by their employees themselves. Now, companies strive to create an internal culture that allows their employees to “live” their brands’ stories. Employee branding holds a tremendous potential to lead not only to retaining top talents, but also to enhanced financial performance, increased employee motivation and optimal company image. The initiative is almost always a joint effort between the Marketing and HR departments, because it largely entails conveying messages to internal and external shareholders alike. However, working together on employee branding does not always lead to harmonious collaboration. Often, these two departments lock horns on a variety of issues, because they are typically staffed with people from different backgrounds, experiences and expertise, and are measured against dissimilar business drivers. Think Houses Stark and Tyrell. The Starks – Marketing – are most comfortable dealing with external groups, because they are masters of communications and networking. They breathe relating with other people and gaining advantage through effective dialogue. The Tyrells, on the other hand, are more geared towards keeping internal peace, and maneuvering through difficult internal political situations. Their priority is to maintain a favorable atmosphere for everyone. Marketing’s prime role is to deliver consistent brand messages to external parties. It has a comprehensive understanding of a company’s brand – what it essentially means and how it should be articulated. It believes that it should have the jurisdiction over employee branding, because a brand’s message needs to start from within a company onto the external channels. HR, on the contrary, is the face of a company’s recruitment process and is often the harbinger of first impressions for many new employees. They are tasked to set company policies in accordance with the organization’s core values. HR professionals believe that as they are primarily tasked to maintain the internal order of a company, employee branding should sit under the remit of the HR. Experts agree that employee branding is comprised of different facets, and owing to this diversity, it should neither exclusively sit under Marketing nor HR. 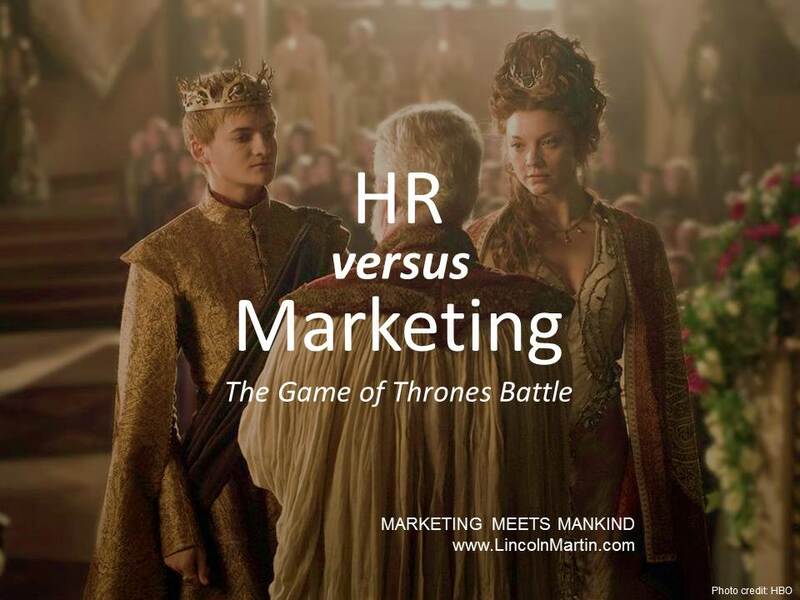 Both Marketing and HR have the necessary skills and expertise to fulfill particular elements of the employee brand, and they should work together to create an integrated strategy. In addition to cooperating with each other, the two departments also need to have a company’s senior management involved, because their participation as leaders will not only add credibility to the initiative, but will also strengthen a company’s employee brand.